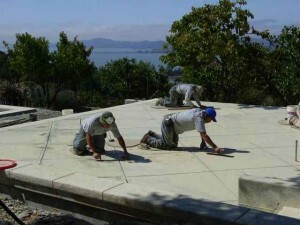 Concrete can have a variety of finishes, from steel trowel to stamped textured. Van Midde and Concrete are experts in finishes of concrete and can take a client’s dreams and make them a reality. Concrete can be exposed to allow for the sand or gravel in the concrete to show, also called antiquing the surface to make it look like something mother nature has done to an older slab. Years of winters will expose the surface slightly each year and more and more of the cream is removed to expose the aggregate. We can also add colored rock to the slab after it has been poured and float the stones into the surface. This finish is known as seeded exposed. Stamping concrete has become our specialty, given the fact that our customers can have a surface that mimics stone or brick. Colors can be added to the concrete to give many desired shades or just one. Interlocking pavers have many different surfaces and textures that can also help make the pavers look more realistic. 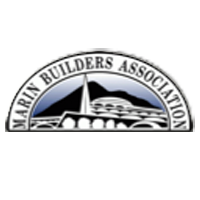 Located in San Rafael, Van Midde and Son Concrete does concrete finishing in Marin County, Sonoma County and throughout the San Francisco Bay Area.